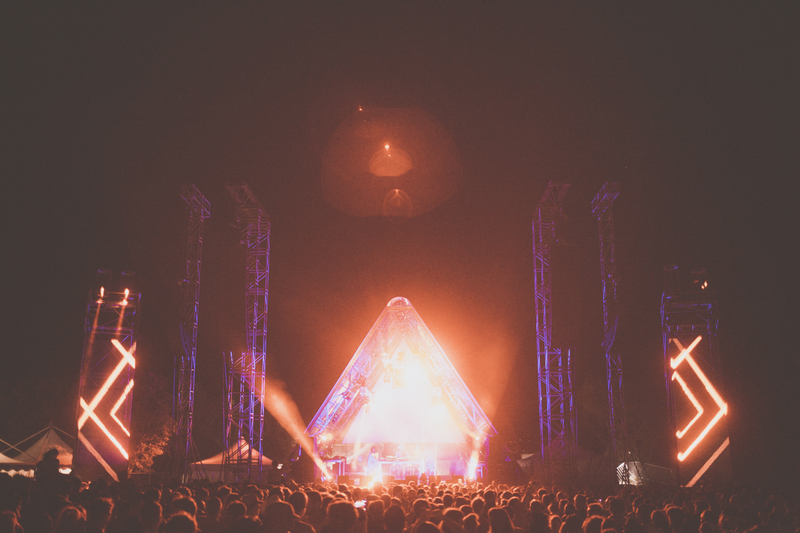 Dimensions Festival will be taking place in Fort Punta Christo, near Pula, from 28th August to 1st September 2019. The “little sister” of well-established Outlook Festival – put on by the same team – returns for 2019, now in its eighth year! 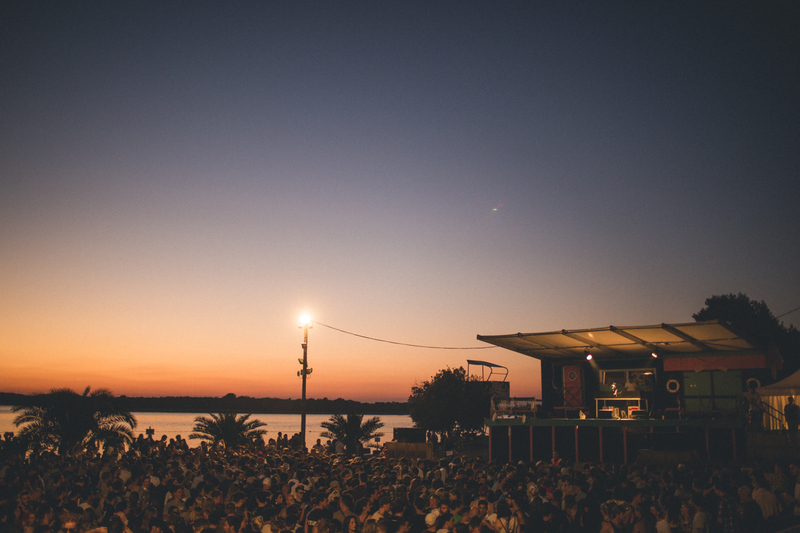 Taking place in the same venue ever (Fort Punta Christo, close to Pula – which is also where Outlook is held), Dimensions is described as an “underground electronic music festival in an abandoned fort”. What’s not to love? Acts performing at the 2019 festival have yet to be announced, but we’re sure the line-up will be as spectacular as ever. Previous acts appearing at Dimensions have included Grace Jones, Massive Attack, Kraftwerk, Moodymann, Four Tet, Little Dragon and many more. Check out the line-up page for all the latest news. 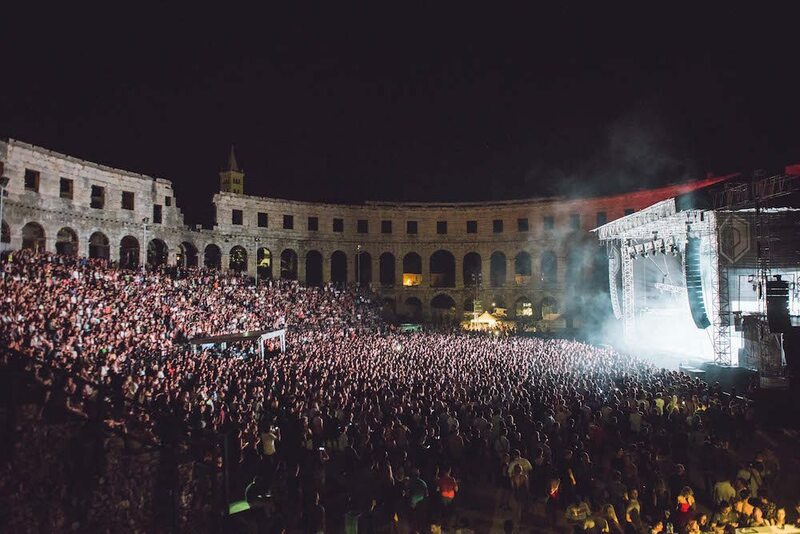 As ever, Dimensions 2019 will also have an opening concert held in Pula’s Arena (the stunning amphitheatre in the centre of the town). Tickets for the opening concert can be purchased separately to the main festival. This means if you’re in town and can’t attend the whole event, you can still get a slice of Dimensions! 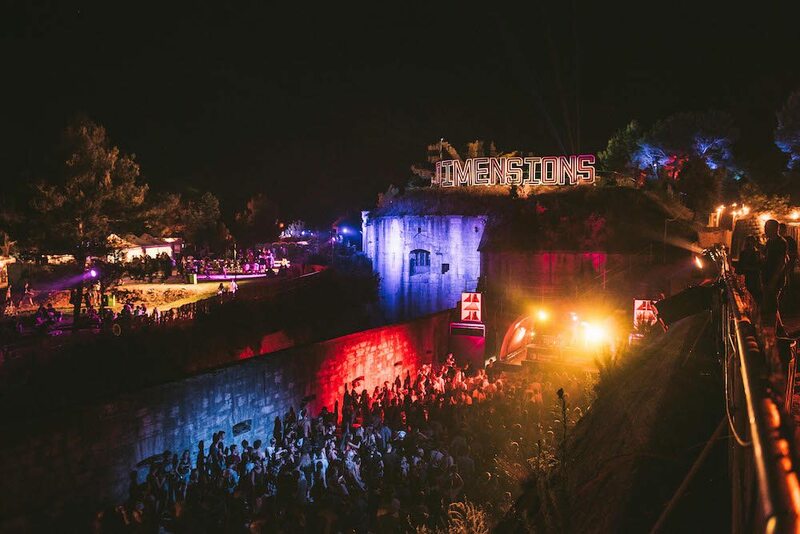 Dimensions 2019 will be another magical event – combining the best of house, techno, soul, disco, jazz, dub, R&B, world and beyond. As with Outlook, this will sadly be the final year Dimensions is to be held at Fort Punta Christo. 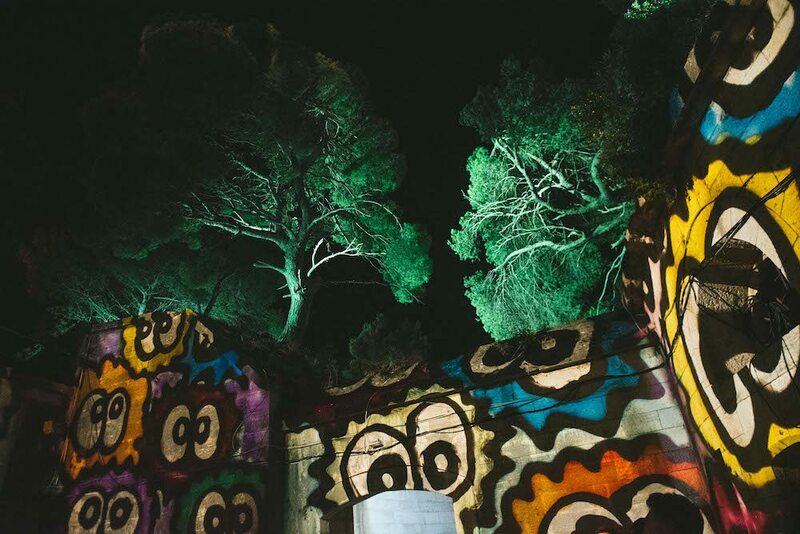 So make sure you head down to Istria this summer for a final experience of Dimensions at this magical fort. As we’ve explained on the Outlook Festival page, Punta Christo is a wonderful (entirely disused) fort from the 19th century that’s on a peninsula close to Pula – and is a truly spectacular venue for the Festival, not to mention a unique one. A number of stages and areas will be set up for the Festival all around the fort and nearby that have different capacities, allowing for different vibes. Dimensions prides itself on its small capacity and welcoming atmosphere and world class sound systems. This ensures a quality approach to music and a fantastic festival experience for attendees, year on year. Tickets for the festival currently cost £110 for early birds. You can also get tickets on an instalment plan. You can also buy a festival + opening concert + camping ticket which costs £172; this allows you access to the en-site camping ground. Tickets can be purchased from Festicket, official partner of Dimensions. As well as regular tickets and package offers, you can also book camping or glamping, airport transfers from Pula and boat tickets to the festival site through them. There’s a wide variety of on-site accommodation options, from the campsite to hostels, mobile homes and boutique camping. Check out the the accommodation page for more. Pula Airport is the nearest to the Festival site and is therefore the best airport to fly to. Many airlines now fly from the UK to Pula, including British Airways from London Heathrow; Easyjet from London Gatwick; Ryanair from London Stansted; TUI from London Gatwick, Bristol, Birmingham, Doncaster Sheffield and Manchester; and Jet2.com from London Stansted, Manchester, Leeds Bradford and Edinburgh. Aer Lingus also fly from Dublin to Pula. There are buses that transfer you from the airport to the main bus station in Pula. From there, you can make your way to the Festival site. For more options, consider flying to somewhere in Italy (such as Trieste, Venice Treviso or Venice Marco Polo Airports) to where there are daily connections in summer from the UK. It is relatively easy to transfer from any of these airports to Pula – see our Getting to Istria page for more details. More information about the festival on the official Dimensions Festival website and do also check out its Twitter and Facebook pages.